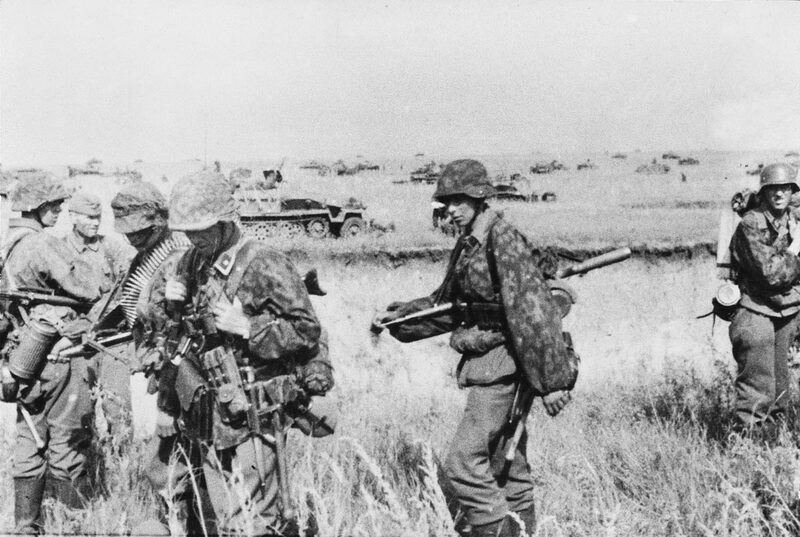 Heavily armed Das Reich Division panzergrenadiers prior to mounting up on their SdKfz 251 halftracks for a combined tank and infantry attack. 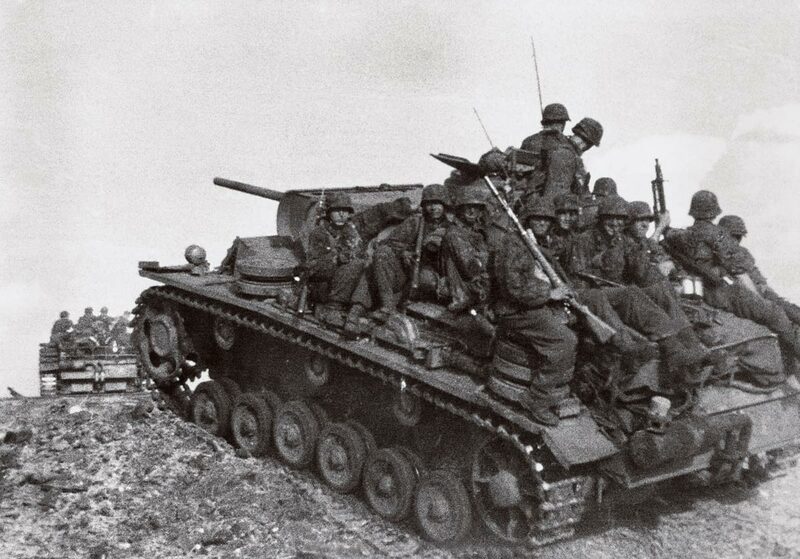 SS Panzergrenadiers hitch a lift on a Panzer III during the Battle of Kursk. As can be seen by the expression on the men’s faces, morale was very high at the start of the battle. 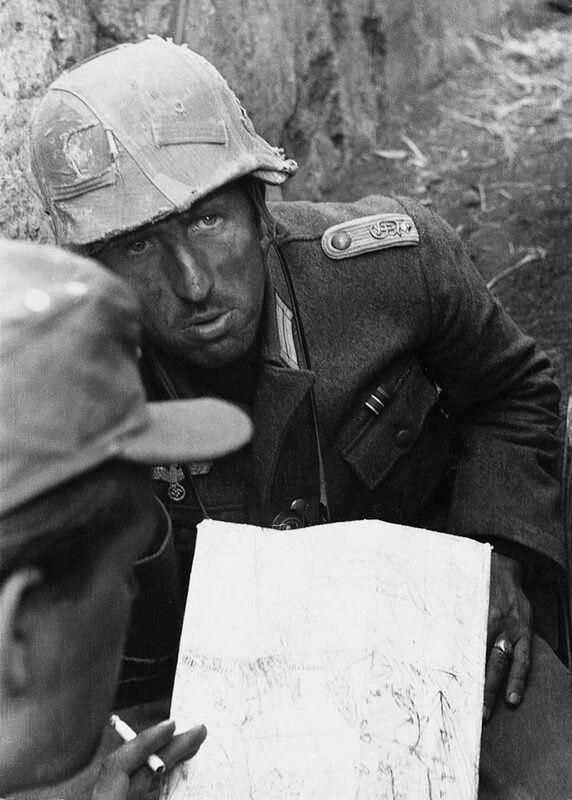 The strain of battle is clearly etched on the face of this Panzergrenadier of the Grossdeutschland Division whose infantry often had to fight without tank support at Kursk. 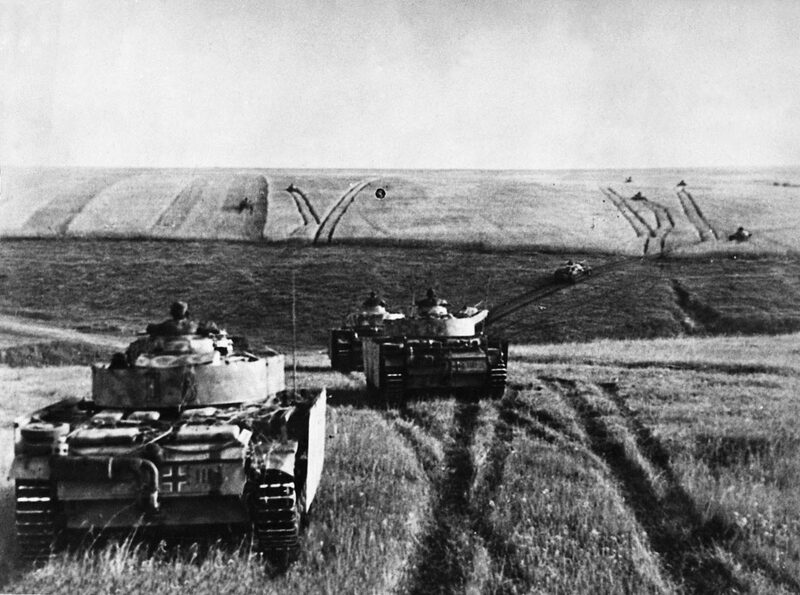 Panzer IVs of II SS Panzer Corps during the early phase of the Kursk offensive. Their tracks are clearly visible in the long grass as they push on over the low inclines that marked this battlefield. 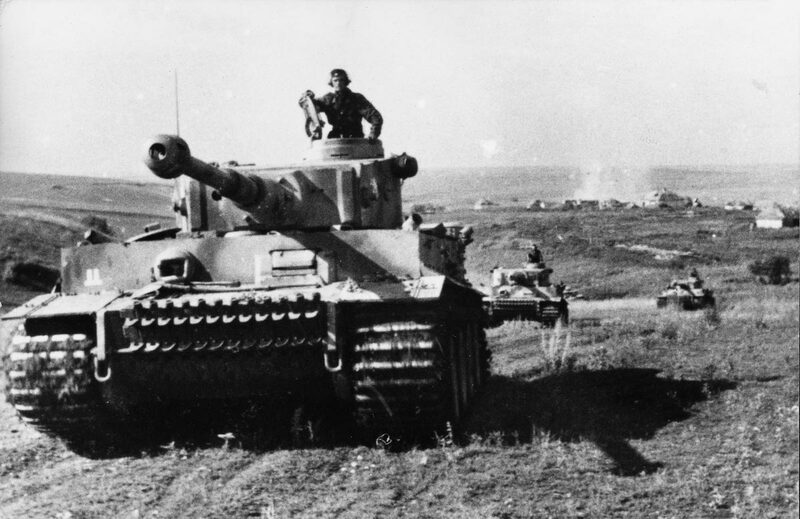 A column of Tiger tanks of the 2nd SS Panzergrenadier Division Das Reich moves forward at Kursk. 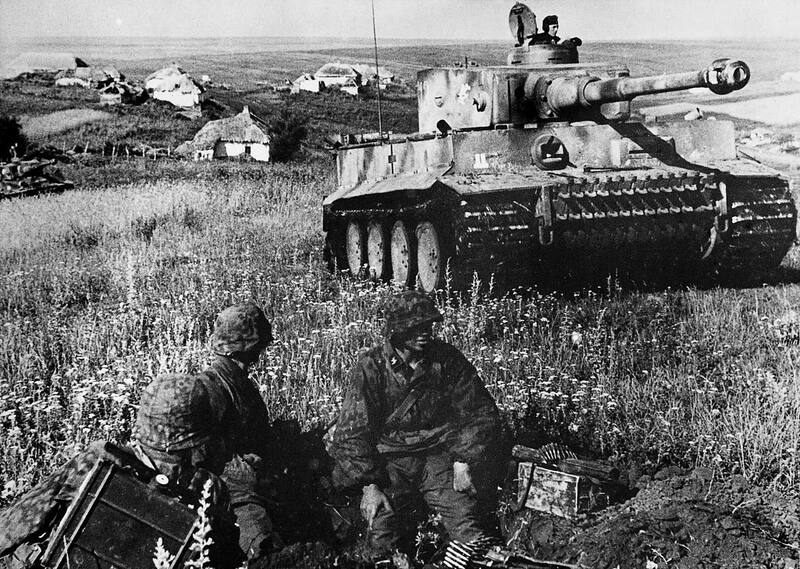 A Waffen SS Tiger 1 during the battle of Kursk, advancing from a Russian hamlet and driving by a group of Panzergrenadiers manning a machine-gun post.